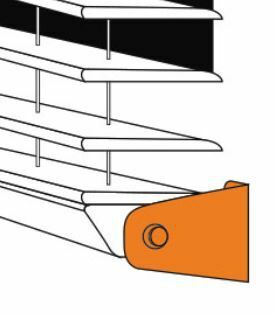 Extension brackets give extra clearance for outside mount applications where molding is present around the window. Cordless Lift & Lock ? The Cordless Lift n' Lock feature is cord free and is essential for providing child and pet safety. 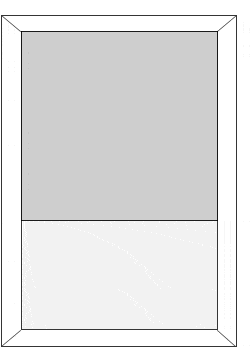 Simply push the button and lower or raise the shade to the desired position. Release the button at any point to lock the moving rail. Note: Please disregard Lift Cord Location in section above as it does not apply to the Cordless Lift & Lock option (since there are no lift cords).  Continuous Loop Lift Cord ? 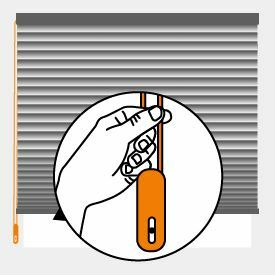 The continuous loop lift cord is an optional lift mechanism that consists of a single looped lift cord and clutch assembly which raises and lowers the shade. 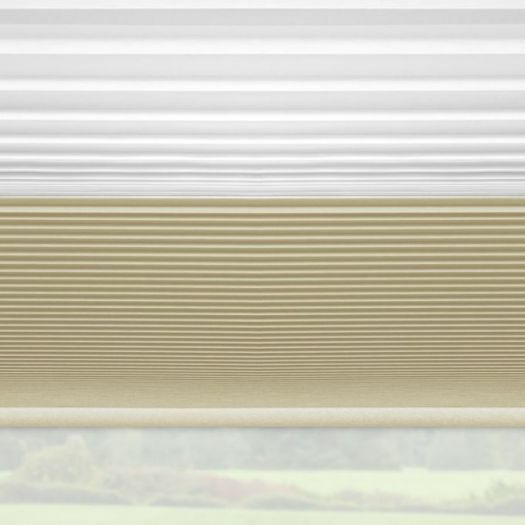 This option is highly recommended on very large shades. 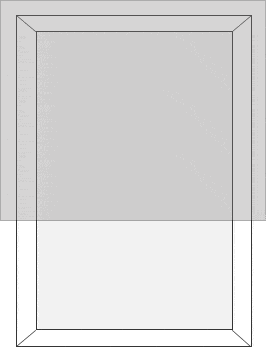 Note: The headrail color is white only. 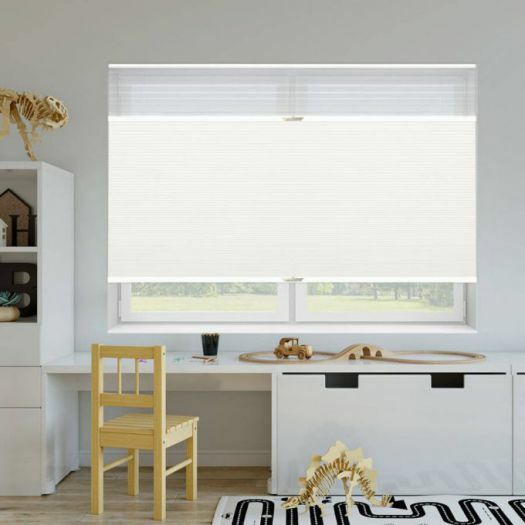 3/4" Single Cell Designer Blackout Trishade Honeycomb Shades are like having three window coverings in one! 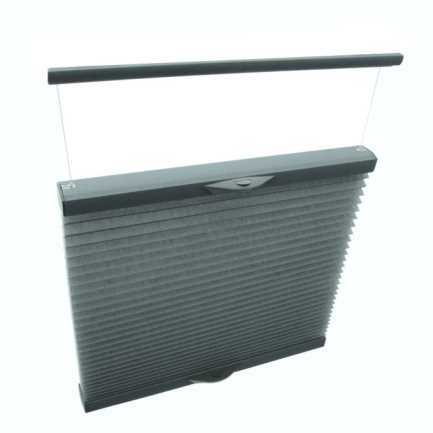 These come standard with sheer pleated and cellular fabric, as well as the top down bottom up option. 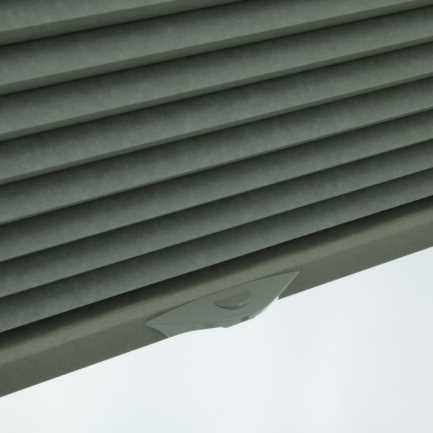 Sheer pleats come with wider pleats and are extremely elegant, while protecting furniture against UV rays. 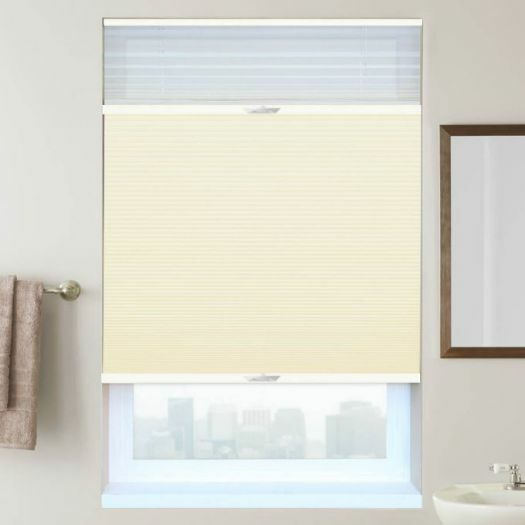 The shades are made standard with Top Down/Bottom Up, which helps reduces glare and harsh sun by allowing you to control the light and the cellular shade offers complete privacy and energy efficiency. Check out the video to see more of this amazing and innovative product. 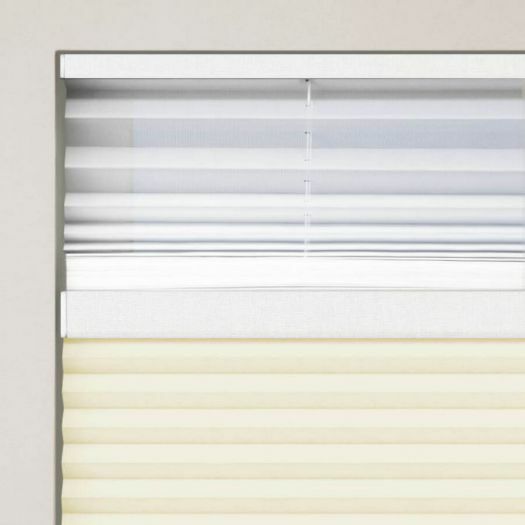 Note: Inside mounted blackout shades might have a small light gap on the edges of the shade. 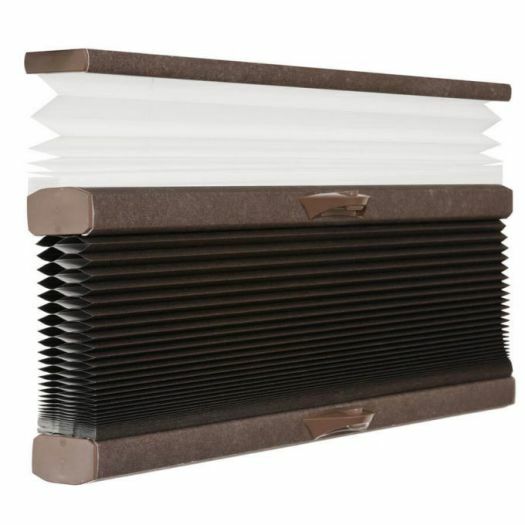 If you would prefer no light gaps, please consider ordering outside mounted blackout shades. Soft, thick 100% spun lace fabric helps absorb sound for quieter, more comfortable rooms. 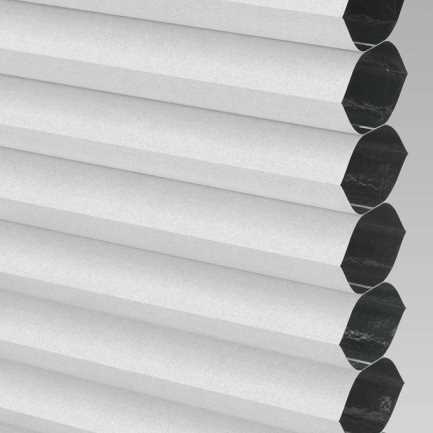 ¾ inch large pleat size is ideal for large windows. 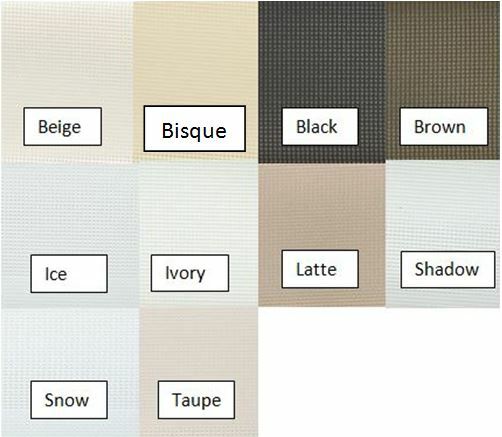 All rails and components are truly colour coordinated to the fabric for a beautiful, finished appearance top to bottom. White tabbed fabric on backside (streetside) of shade maintains uniform, dimensional look to exterior and conforms to HOA guidelines. 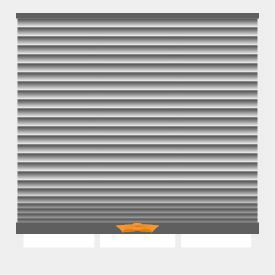 100 % polyester which provides crisp pleats. 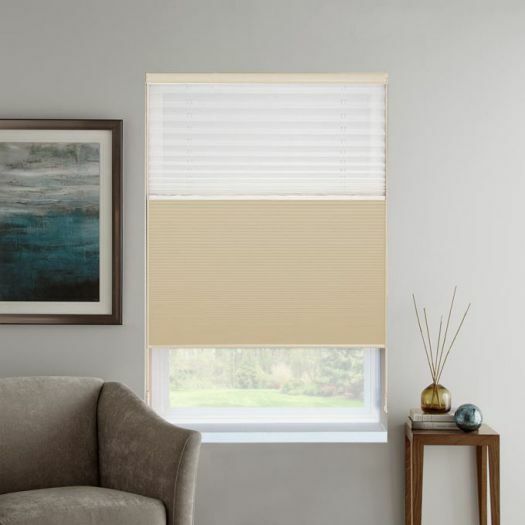 Cordless Lift n' Lock feature system raises and lowers shades without the use of cords, which makes them ideal in homes with small children or pets. 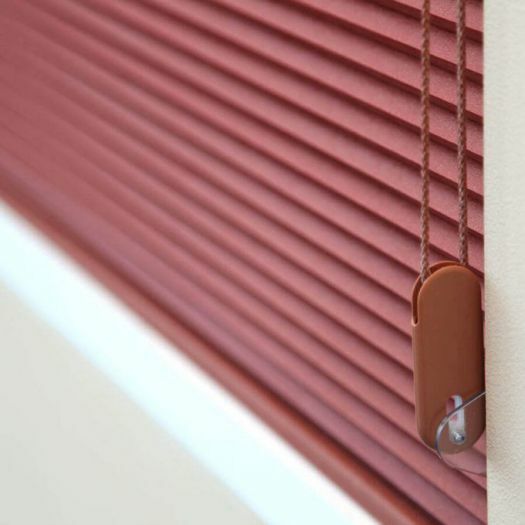 Lift cords for shades will be colour coordinated.